Welcome to “Recovering Shopaholic.” I’m glad you’re here! You’ll find hundreds of articles in the archives to help you in your journey to shop smarter, cultivate a workable wardrobe, and place shopping into its rightful place in your life. Since I know it can be overwhelming to visit a new blog that’s chock full of information, I created this page to make things easier for you. Included below is a bit of information about me and the blog and how the site is structured. I also highlight some of the most popular and helpful posts on the key topics I write about. My name is Debbie Roes. I’m 51 years old and live in San Diego, California, with my husband of 16 years and our two cats. I’ve struggled with compulsive shopping for over three decades, but things really came to a head after I entered my forties. I was spending far more money on clothes than I’d agreed upon with my husband and my closet was jam-packed full of items I rarely or never wore – and no matter how much I bought, it was never enough! I created “Recovering Shopaholic” in January 2013 as a way to keep myself accountable and connect with other shopaholics who wished to recover. I wanted to trade my full closet for a full life and help others to do the same. I had no idea how many people would read my words, but I knew that publicly declaring my intentions and sharing the good, bad, and ugly of my journey would help to keep me on the straight and narrow. I was thrilled to start receiving comments from other shopaholics and to learn that my thoughts and insights had made a difference for them in their recovery. In truth, my readers have helped me as much as I’ve helped them, and they keep me going during tough times. If you’re struggling with overshopping, I want to assure you that there is hope for recovery! The fact that I can now refer to myself as an “ex-shopaholic” in the titles of my books is something I never would have envisioned even two years ago. Recovery occurs on a continuum and there are definitely lots of ups and downs, but I continue to grow and change every day. You can, too! My hope for all of us is that we can have smaller wardrobes and fuller lives! If you’d like to learn more about me and my mission for the blog, check out my About page. You can also read a bit more about my history here (and here) and check out my media coverage and guest posts here. You can see a list of my past posts on my Archives page, where they are listed by title from most to least recent. The sidebar of the site also includes links to the various post categories, as well as a list of my most popular posts. You can also use the search box at the top right to find information based upon key words and phrases. From the beginning of the blog, I made an effort to include useful tips and suggestions for my readers in my posts. Many of the tips from the first year of “Recovering Shopaholic” were compiled on my Recovery Tips page, with links back to the original posts for those who’d like to learn more and/or read the comments posted by readers. 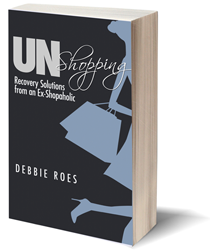 For a more comprehensive collection of my smart shopping tips, check out my first book, “UnShopping: Recovery Solutions from an Ex-Shopaholic.” You can learn more about the book on this page or click here to purchase the book on Amazon. 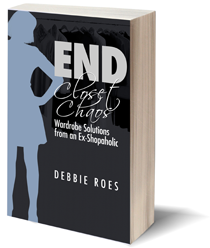 A more complete compilation of my wardrobe management tips can be found in my newly released second book, “End Closet Chaos: Wardrobe Solutions from an Ex-Shopaholic.” Visit this page for information about the book or use this link to buy the book on Amazon. I have also collected a list of resources that I have personally vetted on my Resources page. Included on that page are courses, programs, and books that I have taken or read and recommend to others. The book recommendations include the topics of shopping psychology and ethics, personal style, and general personal development selections. If you’d like to send me a personal message, you can do so via my Connect page. I like hearing from readers and always respond to emails I receive via the blog. It may take me a few days to respond, but I promise to answer any questions you have for me. Please note that I do not accept unsolicited guest posts and I don’t participate in link exchanges. To see a full listing of all of my posts, please visit my Archives page. I truly hope my articles make a difference in your life. If you like what you’ve read here, please consider sharing my work with your friends. 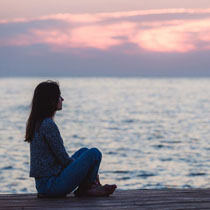 I also invite you to follow my new blog, “Full Life Reflections,” where I post new essays at least once a week on a variety of topics related to living a fuller and more fulfilling life.